*NOTE - Add in for your deep fried turkey dinner, too! This flavor adds, not smothers. So make the most of it Ingredients: Salt, Sage, Savory, Marjoram, Thyme, Black Pepper and Red Pepper. 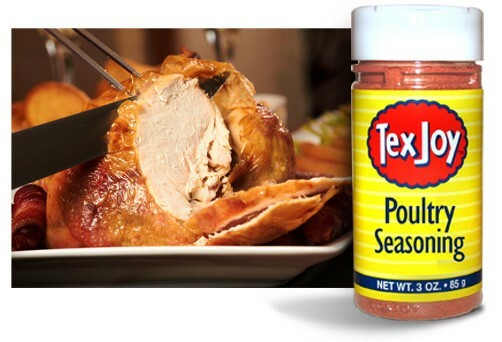 TexJoy Poultry Seasoning adds extra flavor to stuffing mix for stuffed bell peppers, chicken or turkey. You've not had southern fried chicken until you've cooked with TexJoy Poultry Seasoning. Baked chicken, fried chicken, and even roasted turkey recipes are heightened with just a tablespoon. Try with your Thanksgiving Turkey, your Christmas Turkey, or Goose, or Duck or any holiday favorite. Rub generously to cook or shake and sprinkle on your plate in place of salt & pepper. 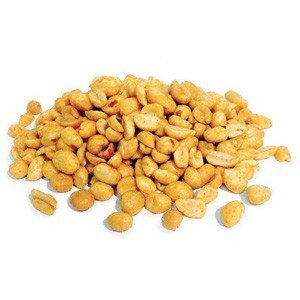 Use as a flavor boost to soups, stews and gumbos. my all-time favorite! Scrumptious on the Thanksgiving turkey!